As writers we spend a lot of time doubting ourselves. Are we talented enough? Is this idea terrible? Will everyone hate it? Would a publisher ever want it? That’s before we even send it out. Then the question becomes, how many rejections can I take? I thought my background of competing* and getting up on a stage to be judged by official judges, audience members and fans around the world, would prepare me to take rejection when it came to my writing. My assumption proved both wrong and right. I haven’t put a lot of short stories out there, not as many as I should. I haven’t queried many agents for my novel, but I have received rejections on both and they sting, there’s no doubt about that. I’ve found a rejection on your novel stings a lot worse than on a short story, based on the relative amount of time, blood, sweat and tears suffered in producing the piece rejected. Yes, it’s going to hurt. Do I think it gets easier? Perhaps it will, but I’m not experienced enough yet to know that. Bear with me, there is an upside to all this! What I had been right about, is my experience of being judged by others while on stage for eleven years taught me to bounce back fast. Every time I didn’t win an event, or do as well as I thought I should have, it was a rejection and it stung. But by the time I was on the plane on the way home, I’d have bounced back. With stubborn, “I’ll show them” determination I’d be making a plan to make my next performance better, by working to improve my physique and my routine, putting to use judges feedback and everything I’d learned from the contest. Luckily, the ability to bounce back quickly transfered over to receiving writing rejections and my wish is to pass that on to you. Feel the pain, feel the loss at each rejection, but then dust yourself off and head straight back to the drawing board, to quote two motivational clichés in a row. They’re well known clichés for a reason because that’s what it takes to succeed. 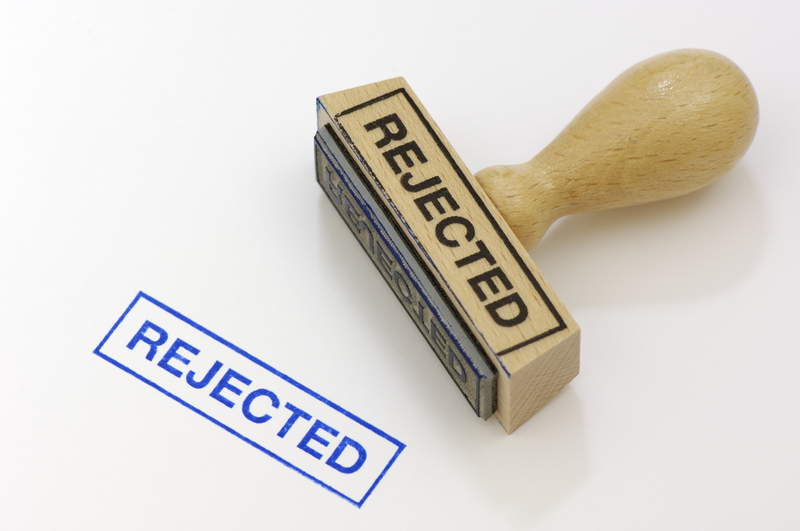 Learn from your rejections, get fired up and make a plan to do better next time. Never give up. Try sending it to someone else. Try making it better, or try something entirely new. Just don’t stop trying. I made it to the top of my sport exactly that way and the same stubborn determination can pay off for you in your writing career. Celebrate your rejections. Some of the Inkpunks have rejection jars, where they “tip” themselves every time they receive a rejection. Patrick Rothfuss told a roomful of writers at VCon in 2008 that when we get our first rejection we should celebrate. It means you’re writing and submitting. I say, celebrate every rejection as a milestone along your journey. I’ve made a collection of stories of rejection turned success, to make myself feel better in preparation for those down times. I thought you might like them as well and I know there are lots more stories like this out there, so feel free to add more! James Patterson’s first novel was turned down by 31 publishers, then the novel went on to win an Edgar as the best first mystery of the year. His first best seller came 16 years later. John Grisham’s first novel “A Time to Kill” was rejected by 16 agents and a dozen publishers. He became the best-selling author of “The Firm and “The Pelican Brief.” “A Time to Kill” was republished in 1992 and made into a movie in 1996. Stephen King’s first novel Carrie received dozens of rejections. J.K. Rowling’s first Harry Potter book was rejected by a dozen publishers, including Penguin and HarperCollins. *Most people won’t know what I’m talking about when I refer to competing, but I also didn’t want to stick contest photos into this blog post. I was a fitness competitor, judged in physique and fitness routines rounds, competed for eleven years, four of those in the IFBB Professional ranks and competed around the world. Good stuff Sandra. 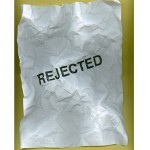 Rejection makes the win taste that much sweeter! Select a few markets that you regard as inaccessible, and make it a habit to regularly have at least one “long shot” submission in your queue. They can be the markets that don’t officially accept unsolicited manuscripts, or that are so many leagues above your own perceived ability that they are intimidating, or the markets that pay enough to finance your mortgage but only accept one or two stories a year… as long as you believe they are inaccessible. By anticipating a few rejections, your emotional skin will toughen, and better prepare you for the others. And sometimes, just sometimes, lightning strikes. Now I know the trick, I will just have to write more and fight back.